In our last post, we brought you a basic look at how cloud computing works, what the terms mean and how CNSI is involved. This time around we’d like to tell you a little more about how cloud computing can revolutionize health care, one of our chief goals here at CNSI. First, we should answer the question, “Why health care?” Well, most importantly, improving the delivery of health care can quite literally save lives. Health care is also extremely expensive. In 2013 national health expenditure in the United States was $2.9 trillion, or $9,255 per person. Therefore, every improvement IT can make to the system has the chance to keep the American people healthier and wealthier. A true win-win if there ever was one. Secondly, health care is a prime candidate for utilizing the advantages cloud computing offers, which were explained in last week’s post. There is a truly incredible amount of data. If you have ever watched your doctor fill out a chart (or filled one out yourself as you waited for your appointment) you know how detailed they are. Now imagine one being produced at every single doctor or hospital visit every person ever takes. All of that information is incredibly useful to a variety of entities, from doctors to insurers to researchers, but only if it is organized and shared. That’s where the cloud comes in. Information stored on the cloud is, by nature, centralized. This centralization allows for analysis and sharing. Further, cloud applications (rather than software installed on each computer) can make the process of collecting health information uniform, efficient and inexpensive. Beyond the efficiencies cloud computing offers, there are serious insights to be gained by looking at large-scale trends in public health that can only be achieved if the information is in one place. We have a chance to design better insurance products or even predict disease outbreaks before they turn deadly. So what’s the catch? There are a few – from competition among vendors to government regulations, some of which we have covered in previous blogs. The industry is getting there, but we still have a long way to go (in 2014 the average physician still processes more than 1,100 faxes each month. FAXES!). What do you think? 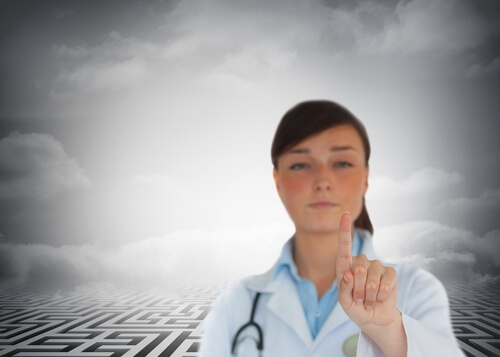 Will cloud computing improve the American health care system? Tell us what you think by finding us on Twitter @CNSICorp.